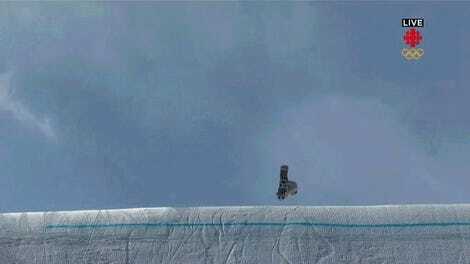 The snowboarding women’s slopestyle final at this Olympics was a frustrating, unfair event, marked by high winds that cancelled the qualifying round and screwed with pretty much every competitor in the final. Still, despite the awful conditions that even cut down on the number of runs each woman could make (two instead of three), it was the best in the world who took home gold: California native Jamie Anderson. Anderson played it safe, earning only an 83.00 on her gold medal run, compared to a 95.25 back in 2014 (her run this year would have only placed her sixth at Sochi). But at an event that probably shouldn’t have been held in the kinds of winds the women were asked to deal with—only five of 25 riders landed their opening runs—it was the best that could be done. Thankfully, no riders were injured making runs in the high winds, but getting a decent score in those conditions became more a matter of luck than greatness. Jamie Anderson had both.